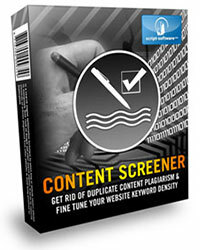 This software tool allows you to effortlessly combine your content into a single document fast! 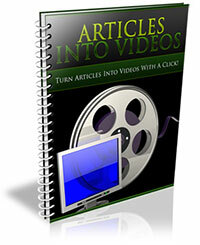 It's perfect for bringing together a lot of articles or other type of content for distribution on your websites. Just click a few buttons and you instantly merge together multiple articles in .txt format in order to create one large article for use in text rotators and other tools. - It compares two articles side by side and reveals the percentage of duplicated content between the two articles. - It shows you exactly which parts of text are duplicated using different color highlighting. - It saves you time and effort when rewriting articles due to the easy comparison. - It displays the keyword density of each article for the keyword you've chosen. - It helps to check on your freelance writers' work and ensure that your content is not duplicated and will never be penalized by the search engines. Works on Windows XP, Vista, 7, 8, 10 and newer. 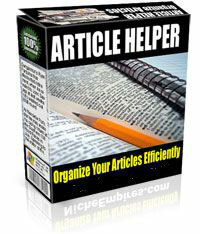 This neat software tool is meant to, as the name implies, help you write articles. It will put your "in-progress" and completed articles all in one spot, you can organize them by word count, title, niche. Article Helper functions as a basic text editor, and allows you to work on articles and come back to them later, never losing track of anything. The best way to integrate article marketing and video marketing is to first write articles and submit them to content rich websites (suggestions inside the ebook), and then turn each of your articles into videos that can be submitted to various video sites. When you first create the articles, be sure you are using keywords for the titles. These keywords will be critical for the traffic of both your articles and videos (this is why we're also including the next bonus, called »30-Minute Keywords«). 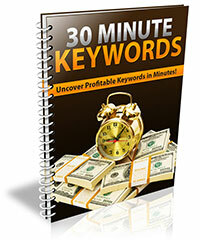 - How to simplify your keyword research and uncover some of the hottest keywords for insanely profitable markets, instantly! - How to determine what keywords to use within your affiliate campaigns for maximum conversions and profits! - What you need to know about long-tail versus short-tail keywords that will have a dramatic impact on your overall profits! 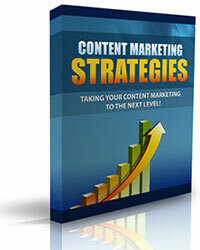 - Quick & easy keyword research strategies, including a list of top tools and resources! Once your content marketing is up and running and your website is growing at a steady pace, it's time to take your content marketing to the next level. That means having more integrated content and using a wider variety of formats. Advanced content marketing also means working to strengthen your brand, voice, and personality because through that you'll become more widely known. You'll become the website and business that your prospects turn to. 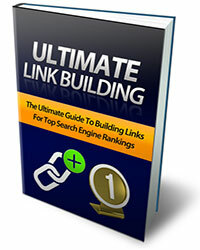 Here's what this amazing ebook reveals in an easy-to-understand format: Link Building Basics, What is Link building, Importance of Backlinks, Search Engine Optimization Basics You Need To Know, 10 Ways To Build Backlinks, The Difference Between 3 Category of Techniques, White hat SEO, Black hat SEO, Gray hat SEO, How To Avoid Being Slapped By Google Updates, Creative Link Building Techniques, Untapped Backlink Sources... and more! You'll discover how to build links to outrank your competitors and get your site on the top of search engines for more traffic, more revenue and more profits.